H.E. Mr.Habib EL MALKI was born on 15 April 1946 in Bijaâd (province of Khouribga), in Morocco. 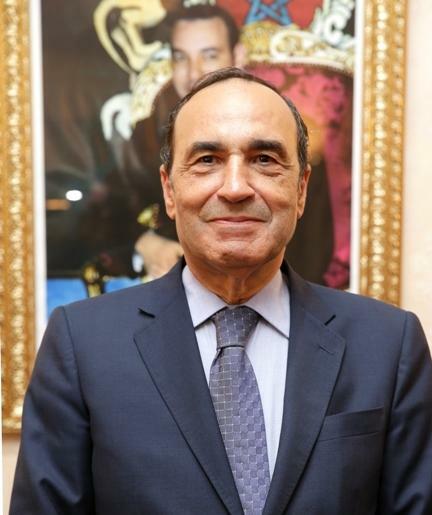 Mr. El Malki is Professor of Economics at the Mohammed V University, Chairman of the Mediterranean Studies and Research Group (MSRG) and President of the Moroccan Center for Economic Studies (CMS). On November, 12th 1990, he was appointed by the late King His Majesty Hassan II, Secretary General of the National Council for Youth and the Future (NCYF). He was elected Member of Parliament representing the USFP party (Socialist Union of Popular Forces) at the House of Representatives during the legislatures :1997-2002; 2007- 2011 and re-elected in 2016. El Malki is a member of the “Academy of the Kingdom of Morocco" since November, 1992 and has several books, researches and studies.